My mother taught me weaving at the age of 15. 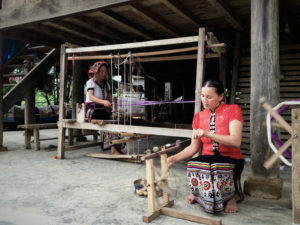 At 33, I still love weaving and have even taught my daughter too. treasure of weaving to the next generation.